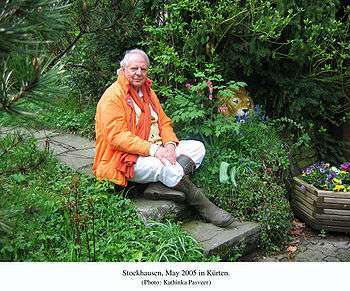 Karlheinz Stockhausen (German pronunciation: [kaʁlˈhaɪnts ˈʃtɔkhaʊzn̩]; 22 August 1928 – 5 December 2007) was a German composer, widely acknowledged by critics as one of the most important (Barrett 1988, 45; Harvey 1975b, 705; Hopkins 1972, 33; Klein 1968, 117) but also controversial (Power 1990, 30) composers of the 20th and early 21st centuries. Another critic calls him "one of the great visionaries of 20th-century music" (Hewett 2007). He is known for his groundbreaking work in electronic music, aleatory (controlled chance) in serial composition, and musical spatialization. Stockhausen was born in Burg Mödrath, the "castle" of the village of Mödrath. The village, located near Kerpen in the Cologne region, was displaced in 1956 to make way for lignite strip mining, but the castle itself still stands. Despite its name, the building is not actually a castle at all, but rather was a manor house built in 1830 by a local businessman named Arend. Because of its imposing size, locals began calling it Burg Mödrath (Mödrath Castle). From 1925 to 1932 it was the maternity home of the Bergheim district, and after the war it served for a time as a shelter for war refugees. 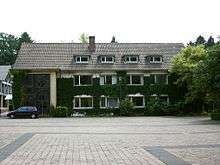 In 1950, the owners, the Düsseldorf chapter of the Knights of Malta, turned it into an orphanage, but it has subsequently returned to private ownership and is today a private residence again (Anon. n.d.; Anon. 1950). From the age of seven, Stockhausen lived in Altenberg, where he received his first piano lessons from the Protestant organist of the Altenberg Cathedral, Franz-Josef Kloth (Kurtz 1992, 14). In 1938 his father remarried. His new wife, Luzia, had been the family's housekeeper. The couple had two daughters (Kurtz 1992, 18). Because his relationship with his new stepmother was less than happy, in January 1942 Karlheinz became a boarder at the teachers' training college in Xanten, where he continued his piano training and also studied oboe and violin (Kurtz 1992, 18). In 1941 he learned that his mother had died, ostensibly from leukemia, although everyone at the same hospital had supposedly died of the same disease. It was generally understood that she had been a victim of the Nazi policy of killing "useless eaters" (Stockhausen 1989a, 20–21; Kurtz 1992, 19). The official letter to the family falsely claimed she had died 16 June 1941, but recent research by Lisa Quernes, a student at the Landesmusikgymnasium in Montabaur, has determined that she was gassed along with 89 other people at the Hadamar Euthanasia Centre in Hesse-Nassau on 27 May 1941 (Anon. 2014). Stockhausen dramatized his mother's death in hospital by lethal injection, in Act 1 scene 2 ("Mondeva") of the opera Donnerstag aus Licht (Kurtz 1992, 213). In the autumn of 1944, he was conscripted to serve as a stretcher bearer in Bedburg (Kurtz 1992, 18). In February 1945, he met his father for the last time in Altenberg. Simon, who was on leave from the front, told his son, "I'm not coming back. Look after things". By the end of the war, his father was regarded as missing in action, and may have been killed in Hungary (Kurtz 1992, 19). A comrade later reported to Karlheinz that he saw his father wounded in action (Maconie 2005, 19). Fifty-five years after the fact, a journalist writing for the Guardian newspaper stated unequivocally, though without offering any fresh evidence, that Simon Stockhausen was killed in Hungary in 1945 (O'Mahony 2001). On 29 December 1951, in Hamburg, Stockhausen married Doris Andreae (Kurtz 1992, 45; Maconie 2005, 47). Together they had four children: Suja (b. 1953), Christel (b. 1956), Markus (b. 1957), and Majella (b. 1961) (Kurtz 1992, 90; Tannenbaum 1987, 94). They were divorced in 1965 (Rathert 2013). On 3 April 1967, in San Francisco, he married Mary Bauermeister, with whom he had two children: Julika (b. 22 January 1966) and Simon (b. 1967) (Kurtz 1992, 141, 149; Tannenbaum 1987, 95). They were divorced in 1972 (Rathert 2013; Stockhausen-Stiftung ). From the mid-1950s onward, Stockhausen designed (and in some cases arranged to have printed) his own musical scores for his publisher, Universal Edition, which often involved unconventional devices. The score for his piece Refrain, for instance, includes a rotatable (refrain) on a transparent plastic strip. Early in the 1970s, he ended his agreement with Universal Edition and began publishing his own scores under the Stockhausen-Verlag imprint (Kurtz 1992, 184). This arrangement allowed him to extend his notational innovations (for example, dynamics in Weltparlament [the first scene of Mittwoch aus Licht] are coded in colour) and resulted in eight German Music Publishers Society Awards between 1992 (Luzifers Tanz) and 2005 (Hoch-Zeiten, from Sonntag aus Licht) (Stockhausen-Verlag 2010, 12–13). 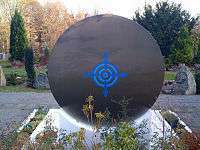 The score of Momente, published just before the composer's death in 2007, won this prize for the ninth time (Deutscher Musikeditionspreis 2009). Grave of the composer, Waldfriedhof, Kürten. In August 1951, just after his first Darmstadt visit, Stockhausen began working with a form of athematic serial composition that rejected the twelve-tone technique of Schoenberg (Felder 1977, 92). He characterized many of these earliest compositions (together with the music of other, like-minded composers of the period) as punktuelle ("punctual" or "pointist" music, commonly mistranslated as "pointillist") Musik, though one critic concluded after analysing several of these early works that Stockhausen "never really composed punctually" (Sabbe 1981). Compositions from this phase include Kreuzspiel (1951), the Klavierstücke I–IV (1952—the fourth of this first set of four Klavierstücke, titled Klavierstück IV, is specifically cited by the composer as an example of "punctual music" (Stockhausen Texte, 2:19)), and the first (unpublished) versions of Punkte and Kontra-Punkte (1952) (Stockhausen Texte, 2:20). However, several works from these same years show Stockhausen formulating his "first really ground-breaking contribution to the theory and, above all, practice of composition", that of "group composition", found in Stockhausen's works as early as 1952 and continuing throughout his compositional career (Toop 2005, 3). This principle was first publicly described by Stockhausen in a radio talk from December 1955, titled "Gruppenkomposition: Klavierstück I" (Stockhausen Texte, 1:63–74). Beginning with Mantra for two pianos and electronics (1970), Stockhausen turned to formula composition, a technique which involves the projection and multiplication of a single, double, or triple melodic-line formula (Kohl 1983–84a; Kohl 1990; Kohl 2004). Sometimes, as in Mantra and the large orchestral composition with mime soloists, Inori, the simple formula is stated at the outset as an introduction. He continued to use this technique (e.g., in the two related solo-clarinet pieces, Harlekin [Harlequin] and Der kleine Harlekin [The Little Harlequin] of 1975, and the orchestral Jubiläum [Jubilee] of 1977) through the completion of the opera-cycle Licht in 2003 (Blumröder 1982; Conen 1991; Kohl 1983–84a; Kohl 1990; Kohl 1993; Kohl 2004; Stockhausen-Verlag 2010, 10). Some works from the 1970s did not employ formula technique—e.g., the vocal duet "Am Himmel wandre ich" (In the Sky I am Walking, one of the 13 components of the multimedia Alphabet für Liège, 1972, which Stockhausen developed in conversation with the British biophysicist and lecturer on mystical aspects of sound vibration Jill Purce), "Laub und Regen" (Leaves and Rain, from the theatre piece Herbstmusik (1974), the unaccompanied-clarinet composition Amour, and the choral opera Atmen gibt das Leben (Breathing Gives Life, 1974/77)—but nevertheless share its simpler, melodically oriented style (Conen 1991, 57; Kurtz 1992, 192–93). 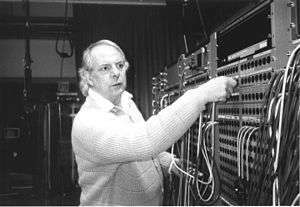 Two such pieces, Tierkreis ("Zodiac", 1974–75) and In Freundschaft (In Friendship, 1977, a solo piece with versions for virtually every orchestral instrument), have become Stockhausen's most widely performed and recorded compositions (Anon. 2007a; Deruchie 2007; Nordin 2004). Stockhausen on 7 March 2004 during the mix-down of the recording of Angel Processions from Sonntag aus Licht, in Sound Studio N, Cologne. (Photo: Kathinka Pasveer). Between 1977 and 2003, Stockhausen composed seven operas in a cycle titled Licht: Die sieben Tage der Woche ("Light: The Seven Days of the Week") (Maconie 2005, 403–544). The Licht cycle deals with the traits associated in various historical traditions with each weekday (Monday = birth and fertility, Tuesday = conflict and war, Wednesday = reconciliation and cooperation, Thursday = traveling and learning, etc.) and with the relationships between three archetypal characters: Michael, Lucifer, and Eve (Kohl 1983–84b, 489; Stockhausen Texte, 6:152–56, 175, 200–201). Each of these characters dominates one of the operas (Donnerstag [Thursday], Samstag [Saturday], and Montag [Monday], respectively), the three possible pairings are foregrounded in three others, and the equal combination of all three is featured in Mittwoch (Wednesday) (Kohl 1990, 274). Stockhausen's conception of opera was based significantly on ceremony and ritual, with influence from the Japanese Noh theatre (Stockhausen, Conen, and Hennlich 1989, 282), as well as Judeo-Christian and Vedic traditions (Bruno 1999, 134). 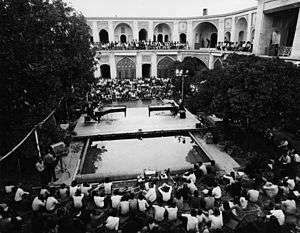 In 1968, at the time of the composition of Aus den sieben Tagen, Stockhausen had read a biography by Satprem about the Bengali guru Sri Aurobindo (Guerreri 2009), and subsequently he also read many of the published writings by Aurobindo himself. The title of Licht owes something to Aurobindo's theory of "Agni" (the Hindu and Vedic fire deity), developed from two basic premises of nuclear physics; Stockhausen's definition of a formula and, especially, his conception of the Licht superformula, also owes a great deal to Sri Aurobindo's category of the "supramental" (Peters 2003, 227). Similarly, his approach to voice and text sometimes departed from traditional usage: Characters were as likely to be portrayed by instrumentalists or dancers as by singers, and a few parts of Licht (e.g., Luzifers Traum from Samstag, Welt-Parlament from Mittwoch, Lichter-Wasser and Hoch-Zeiten from Sonntag) use written or improvised texts in simulated or invented languages (Kohl 1983–84b, 499; Moritz 2005; Stockhausen 1999, 18–25; Stockhausen 2001b, 20; Stockhausen 2003, 20). After completing Licht, Stockhausen embarked on a new cycle of compositions, based on the hours of the day, entitled Klang ("Sound"). Twenty-one of these pieces were completed before the composer's death (Stockhausen-Verlag 2010, 49–50). The first four works from this cycle are First Hour: Himmelfahrt (Ascension), for organ or synthesizer, soprano and tenor (2004–2005); Second Hour: Freude (Joy) for two harps (2005); Third Hour: Natürliche Dauern (Natural Durations) for piano (2005–2006); and Fourth Hour: Himmels-Tür (Heaven's Door) for a percussionist and a little girl (2005) (Stockhausen-Verlag 2010, 49). The Fifth Hour, Harmonien (Harmonies), is a solo in three versions for flute, bass clarinet, and trumpet (2006) (Stockhausen-Verlag 2010, 49). The Sixth through Twelfth hours are chamber-music works based on the material from the Fifth Hour (Stockhausen-Verlag 2010, 49). The Thirteenth Hour, Cosmic Pulses, is an electronic work made by superimposing 24 layers of sound, each having its own spatial motion, among eight loudspeakers placed around the concert hall (Stockhausen 2007a). Hours 14 through 21 are solo pieces for bass voice, baritone voice, basset-horn, horn, tenor voice, soprano voice, soprano saxophone, and flute, respectively, each with electronic accompaniment of a different set of three layers from Cosmic Pulses (Stockhausen-Verlag 2010, 50). The twenty-one completed pieces were first performed together as a cycle at the Festival MusikTriennale Köln on 8–9 May 2010, in 176 individual concerts (Gimpel 2010). Through the 1960s, although he taught and lectured publicly (Stockhausen Texte, 3:196–211), Stockhausen published little of an analytical or theoretical nature. 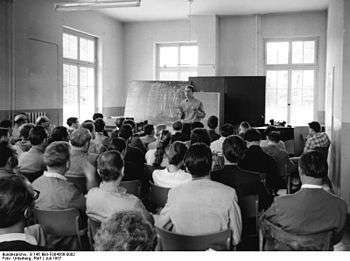 Only in 1970 did he again begin publishing theoretical articles, with "Kriterien", the abstract for his six seminar lectures for the Darmstädter Ferienkurse (Stockhausen 'Texte, 3:222–29). The seminars themselves, covering seven topics ("Micro- and Macro-Continuum", "Collage and Metacollage", "Expansion of the Scale of Tempos", "Feedback", "Spectral Harmony—Formant Modulation", "Expansion of Dynamics—A Principle of Mikrophonie I", and "Space Music—Spatial Forming and Notation") were published only posthumously (Stockhausen 2009). 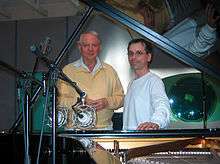 Stockhausen was influential within pop and rock music as well. Frank Zappa acknowledges Stockhausen in the liner notes of Freak Out!, his 1966 debut with The Mothers of Invention. On the back of The Who's second LP released in the US, "Happy Jack", their primary composer and guitarist Pete Townshend, is said to have "an interest in Stockhausen". Rick Wright and Roger Waters of Pink Floyd also acknowledge Stockhausen as an influence (Macon 1997, 141; Bayles 1996, 222). San Francisco psychedelic groups Jefferson Airplane and the Grateful Dead are said to have done the same (Prendergast 2000, 54); Stockhausen himself says the former band included students of Luciano Berio, and the Grateful Dead were "well orientated toward new music" (Stockhausen Texte, 4:505). Founding members of Cologne-based experimental band Can, Irmin Schmidt and Holger Czukay, both studied with Stockhausen at the Cologne Courses for New Music (Stockhausen Texte, 3:196, 198, 200). German electronic pioneers Kraftwerk also say they studied with Stockhausen (Flur 2003, 228), and Icelandic vocalist Björk has acknowledged Stockhausen's influence (Heuger 1998, 15; Björk 1996; Ross 2004, 53 & 55). Stockhausen, along with John Cage, is one of the few avant-garde composers to have succeeded in penetrating the popular consciousness (Anon. 2007b; Broyles 2004; Hewett 2007). The Beatles included his face on the cover of Sgt. Pepper's Lonely Hearts Club Band (Guy and Llewelyn-Jones 2004, 111). This reflects his influence on the band's own avant-garde experiments as well as the general fame and notoriety he had achieved by that time (1967). In particular, "A Day in the Life" (1967) and "Revolution 9" (1968) were influenced by Stockhausen's electronic music (Aldgate, Chapman, and Marwick 2000, 146; MacDonald 1995, 233–34). 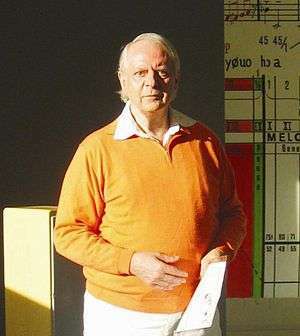 Stockhausen's name, and the perceived strangeness and supposed unlistenability of his music, was even a punchline in cartoons, as documented on a page on the official Stockhausen web site (Stockhausen Cartoons). Perhaps the most caustic remark about Stockhausen was attributed to Sir Thomas Beecham. Asked "Have you heard any Stockhausen? ", he is alleged to have replied, "No, but I believe I have trodden in some" (Lebrecht 1983, 334, annotated on 366: "Apocryphal; source unknown"). Later in his life, Stockhausen was portrayed by at least one journalist, John O'Mahony of the Guardian newspaper, as an eccentric, for example being alleged to live an effectively polygamous lifestyle with two women, to whom O'Mahoney referred as his "wives", while at the same time stating he was not married to either of them (O'Mahoney 2001). In the same article, O'Mahony claims Stockhausen said he was born on a planet orbiting the star Sirius. In the German newspaper Die Zeit, Stockhausen stated that he was educated at Sirius (see Controversy below). On hearing about this, conductor Michael Gielen stated: "When he said he knew what was happening at Sirius, I turned away from him in horror. I haven't listened to a note since", and called Stockhausen's statements "hubris" and "nonsense", while at the same time defending his own belief in astrology: "Why should these large celestial bodies exist if they do not stand for something? I cannot imagine that there is anything senseless in the universe. There is much we do not understand" (Hagedorn 2010).